The Suburbs is ranked 2nd best out of 6 albums by Arcade Fire on BestEverAlbums.com. The best album by Arcade Fire is Funeral which is ranked number 9 in the list of all-time albums with a total rank score of 104,994. Members who like this album also like: In Rainbows by Radiohead, Neon Bible by Arcade Fire and Whatever People Say I Am, That's What I'm Not by Arctic Monkeys. 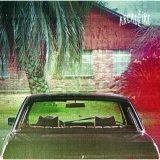 Related links: top tracks by Arcade Firetop tracks of the 2010s, top tracks of 2010. Showing latest 5 ratings for this album. | Show all 2,248 ratings for this album. I've listened to this album a few times... and I still consider it to be mediocre. I was really thrilled after hearing the first two tracks, and then... Well, the rest wasn't at the level. Wonderful album, completely devoted to its theme. Almost all tracks are great to listen to. The only negative point may be, that sometimes the production doesn‘t seem to be as perfect as it could be, but somehow on „Empty Room“ I liked it very much, „Half Light II“ though couldn‘t quite overwin me. I think that „Funeral“ is overall the better album, it is more on point, more diverse in sound and conquered my heart very fast. „The Suburbs“ needed some time for me to really appreciate it. It‘s still a fantastic album. This album is amazing. Arcade Fire really captured feelings of lost youth in this album. Good, but for the most time actually quite repetitive. I believe that first and final track are ones of the best songs in the history, so for this reason it is good album.